Corrections and education are undoubtedly connected. They play a role in the likelihood of entering and re-entering the system. Here are some national and Florida facts about the correlation. On average, a Florida inmate’s probability of re-offending drops by 2.9% for each higher grade of adult basic education tested. Inmates who earn a GED are 8.7% less likely to recidivate than those who do not complete a GED program. Inmates who receive a GED and improve their TABE score to 9th grade level or higher are 25% less likely to recidivate than those who receive a GED and have a TABE level of 8th grade or less. A higher percentage of prison inmates than adults living in households have Below Basic quantitative literacy (39 percent compared with 21 percent). The average reading level of prison inmates is very low: below the 5th grade in one study and below the 8th grade in another study. About 67% of prison inmates cannot write a brief letter explaining a billing error, read a map, or understand a bus schedule. 9% of all prisoners with low literacy skills receive literacy training while in prison. 49% of adults who have not been in prison education programs are re-incarcerated. The President’s FY2013 Budget Proposal- What does it mean for Adult Education? According to the summary, adult education is proposed to be funded at $595 million, with $15 million to go towards the Workforce Innovation Fund for competitive grants. While some may see this as level-funding, others may not since the WIF is proposed to come from existing state adult education grants. Public school funding increases, Medicaid reimbursements to Jacksonville area hospitals are cut, and First Coast roads get a big boost in the budget the House passed Thursday. It took Bell a while to gather the proper documentation but she was finally able to use her Aid to Families with Dependent Children payment documents to prove her residency. The requirement is part of new state ­legislation that became effective in July. Applicants younger than 24 have to submit proof of residency from a parent or legal guardian. The Florida Department of Corrections has formally announced its intent to award a contract to Smart Horizons Career Online Education (SHCOE) for the provision of online career training and high school education services to Florida inmates. 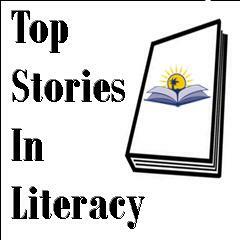 For more than 22 years, Literacy Council Gulf Coast has been transforming lives in Southwest Florida with literacy education. As a volunteer with the Literacy Council, I’ve gotten to know some of people who have been changed by the power of literacy, and I think their stories are worth sharing.